The digital medium is so much dynamic that one must investigate & probe all the options they have before investing in particular digital marketing strategy or web development service. 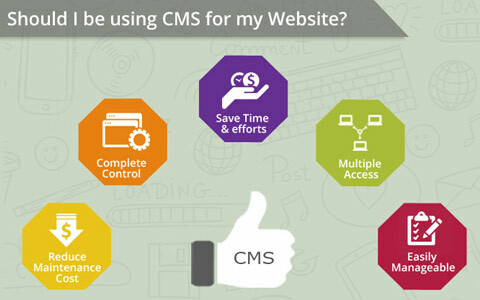 You must ensure the strategy you’re planning to go with is most certainly going to fulfill the business requirements and be successful in getting the attention of the target audience and online users. Fresh statistics on online users imply that majority of users on online platform are mobile users. Your approach for meeting relevant customers for your business must be customer-friendly and thus mobile commerce is the thing you must know about. Results show that 90% of the phone-time mobile users invest on applications and the rest 10 percent use it on internet. 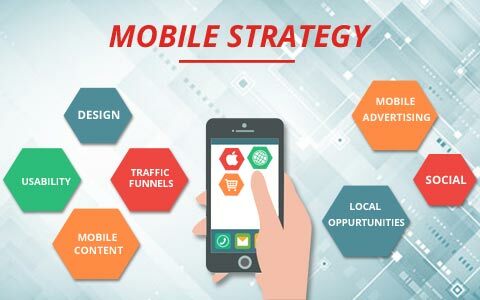 It will certainly profit your business if you have the ecommerce mobile application that will bridge the gap between your potential customers and your business. Midas specializes in designing and developing ecommerce applications for variety of businesses representing different industry niches. We design user-friendly mobile applications and help you to get ahead of the contemporary competition. Ask for the details right away and we’ll assist you in getting the custom-developed mobile application for your mcommerce. Industry experts who study online market traits and what is affecting it and what are taking it by the storm do find mcommerce a beneficial investment for any business that desires to grow the customer base and sales rate. It is crucial to understand that having an ecommerce mobile application will definitely enhance customer experience and user engagement but it is just a tool to fortify your customer retaining strategy; thus it will be iniquitous to take it as the sole guarantee for profit generation. Let’s look into this matter further and learn more about the advantages of mobile commerce or mcommerce. Mobile applications are quicker to load the searched items than the website applications. As the customer can browse as well as purchase item through the mobile application, it saves a lot of time and improves user-experience on a mobile application. Amazon mobile application is a sure example for how mobile commercial application helps in expanding customer base. The Amazon mobile application was successful in driving more sales and reaching customer base from 43 million to 67 million in the years 2015 & 2016 respectively. Recent researches have proved that mobile apps for shopping which are fast to load, convenient to use, also interactive and intuitive are quicker to get the attention and interest of the customers. A happy customer is a good sign for your business. Mobile shopping application doesn’t just bridge the gap but it also connects you directly to your buyer which means now it is simpler to notify them on the latest sales, discount offers, shopping order processing etc. Direct notifications have proven to be a contributing factor in improving the personal engagement with the brand which increases brand loyalty of customers towards the brand. We find it time-efficient when we are able to find the items that we are searching in the recommended section. This is called delivering personalized content to the customers by analyzing the user behavior in the real-time. You can expand the brand outreach and improve customer-experience using tailored content. Developing and maintaining a mobile application for the brand is less expensive than maintaining a web store. You directly connect with your customers through mobile application and you don’t have to do much for the marketing as applications can be social media integrated and your customers will do the work of sharing their shopping experience and improving your brand identity. Mobile applications are a hit in the commercial market and this trend is here to stay. A lot of traffic for the digital shopping stores comes from the mobile app users and hence it is paramount to get your custom designed mobile application that will live up to the expectations of the present age customers. Midas is your friend in this hour of need and we develop completely bespoke mobile applications that are feature-rich and developed with main focus on customer satisfaction and more conversion. Feel free to Contact us. For more interesting information on IT and digital market keep following our blog. 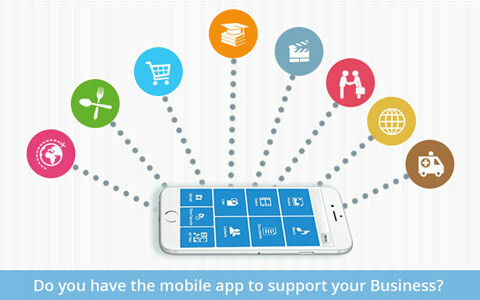 Do you have the mobile app to support your business?